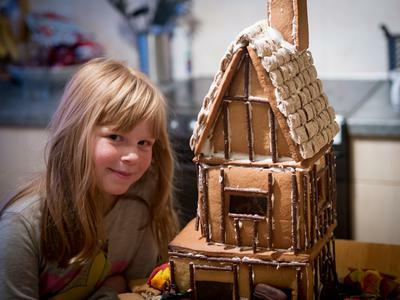 The Gingerbread House Blog covers All Things Gingerbread! We share our favorite recipes, tips on icing and decorating, free patterns and templates, and photos of gingerbread houses from plain to intricate to down-right strange. Click on that orange button to subscribe to this RSS feed and stay up-to-date on the latest and greatest Gingerbread House news. Continue reading "What is gingerbread flour? " Can I buy 5 kits now and save them for 12 minths? Continue reading "Ginger bread kits for 2019"
Continue reading "MY ORDER WILL NOT DOWNLOAD"
Continue reading "Bubbles in baked gingerbread pieces." Continue reading "Mortar options WITHOUT sugar"
I need the exact house pictured! The rest of the items, such as the gators and skiff would be great also! Continue reading "Cajun Night Before Christmas"
Continue reading "Santa Visits Venice, Italy"
do I have to put the ginger bread house in the fridge the night I made it or can it stay out all night? 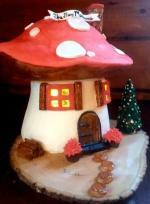 Continue reading "Royal Icing disaster!" Continue reading "two story house with porch and front steps"
Continue reading "The Gingerbread Castle with our family crest"
I created this house for a high school classmate. She wanted one to resemble her house. Gingerbread and fondant with royal icing and candy windows. Continue reading "The "Parrish" Place 2018"
Continue reading "gingerbread men cookies getting hard after wrapping"
Continue reading "Cutting windows out of pre-made gingerbread houses?" Continue reading "can you freeze the gingerbread?" 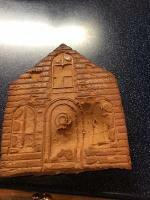 Continue reading "varnishing a gingerbread house to preserve it ?" Continue reading "Food safe armatures"
what sorta box, or how should i keep it steady in a box, when giving it to someone as a gift. 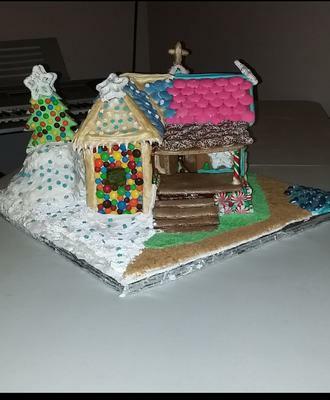 Continue reading "storing as a gift"
Continue reading "Sugar and Spice"
What are the steps I should take to preserve my granddaughters decorated Gingerbread House she made this 2017 Christmas? Continue reading "preserve a decorated gingerbread house"
Continue reading "The Great Fire of London(!)" Can I store an unopened gingerbread kit in refrigerator or freezer for next year ? Continue reading "Gingerbread unopened kit: can it be stored in refrigerator for next year"
Can I use Crisco instead of butter when making gingerbread houses? Continue reading "Can I use Crisco instead of butter when making gingerbread houses?" I promise to use it only to send you Play with your Food!. Don't see what you want? Request one! Check out our kits page.